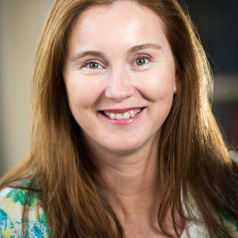 Dr Joanne Enticott is a Health Services Researcher and Biostatistician, and Postdoctoral Researcher at the NHMRC Centre of Research Excellence in Suicide Prevention (GNT1042580), Brain and Mind Centre, University of Sydney. Joanne is a Senior Research Fellow in the Department of General Practice, Monash University,and Southern Synergy in the Department of Psychiatry, Monash University. Joanne's research is focused on mental health epidemiology and conducting policy relevant research with an aim to create effective, equitable and affordable health services. Research to improve outcomes for vulnerable populations is her priority. Joanne is a key member in the Department of General Practice research theme: Primary Care Practice Data and Linkage to inform Policy and Practice; she conducts data linkage projects in a secure, privacy-preserving manner, using General Practices data linked with other health datasets such as inpatient hospital admissions.